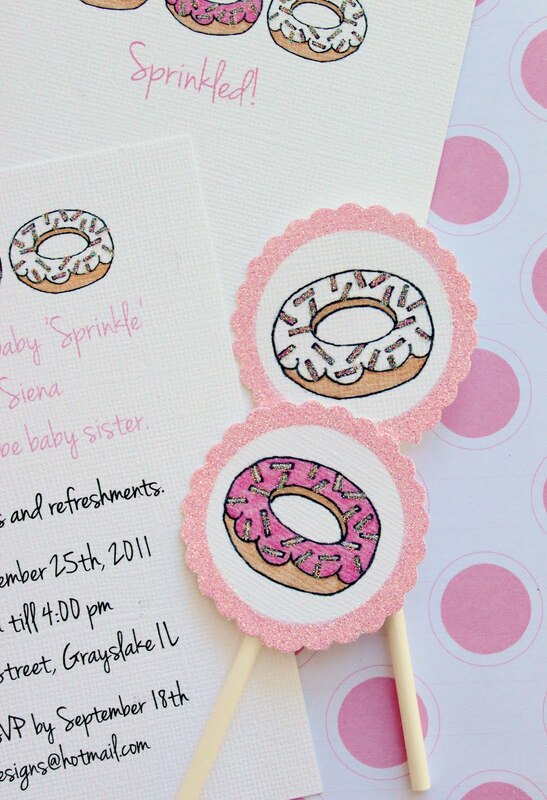 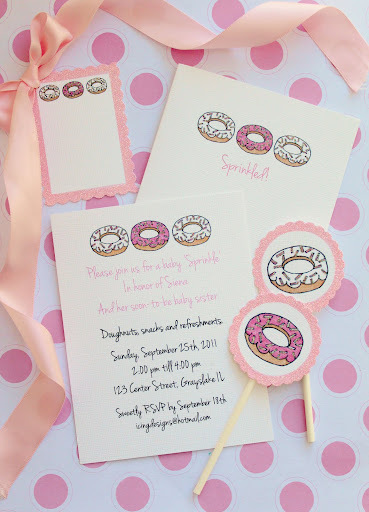 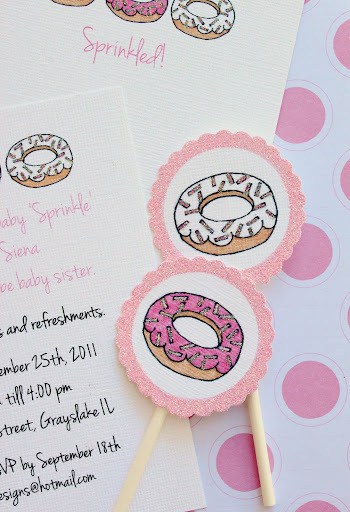 We are so excited to share our new "Sprinkled Donut" design with you!! 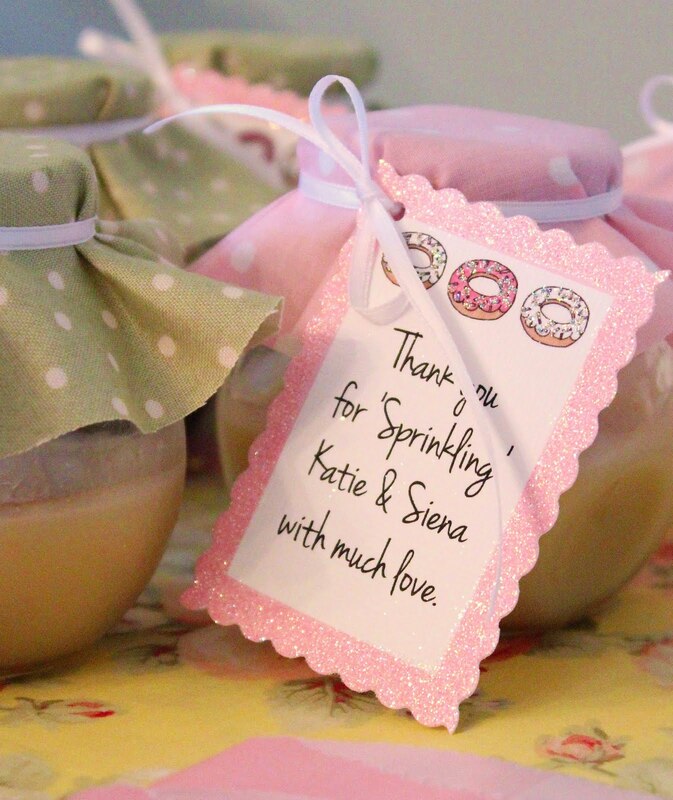 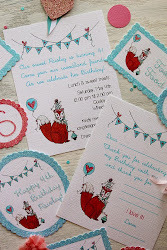 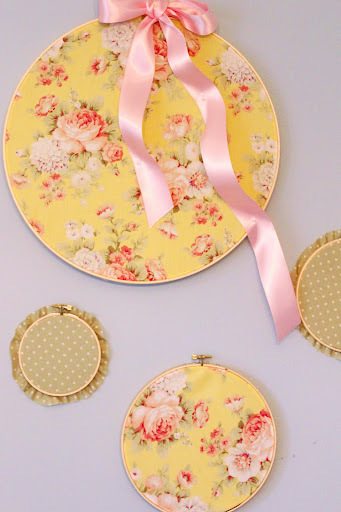 We created this for our super sweet friend and DIY corespondent Katie!! 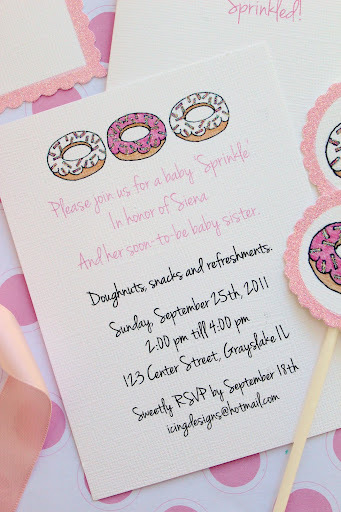 We threw a special baby shower for her and her adorable daughter Siena last week, as she is pregnant with her second baby girl!! We are anxiously awaiting her arrival and can not wait to meet her!! 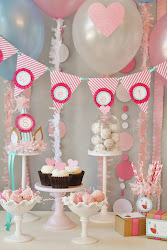 We will share the baby shower photos with you soon, but until then here is our new design (available in our Etsy shop) and a sneak peek of the shower! 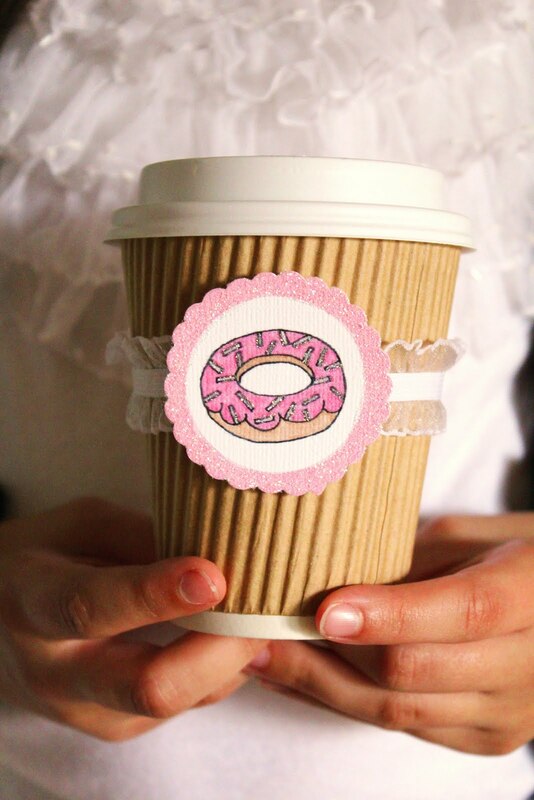 Ahhh! 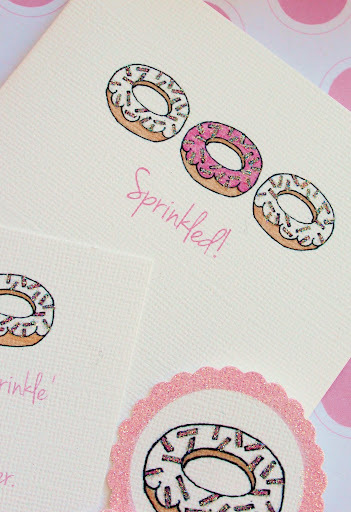 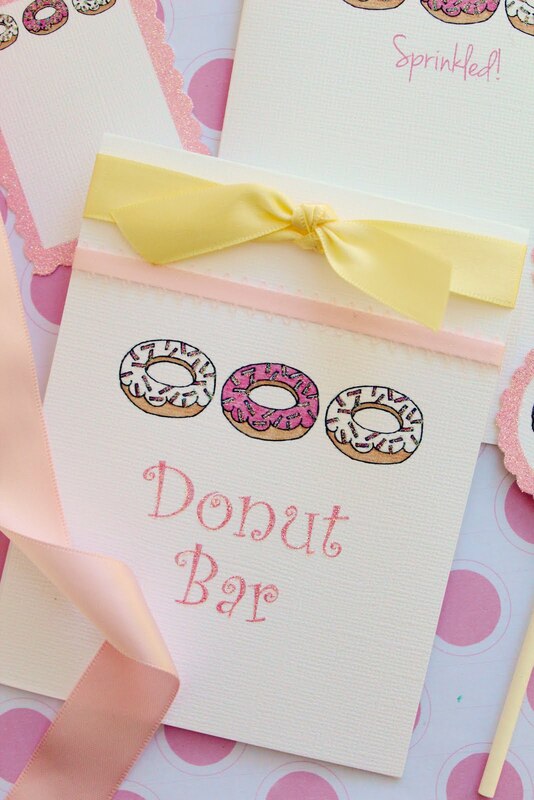 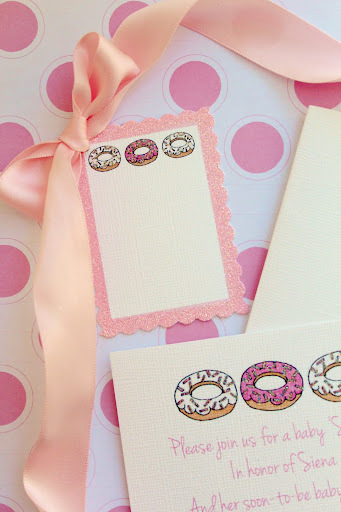 I've been waiting for these to come along since I know how much you girls love donuts!